14. Tie the obiage neatly, which is tyed only loosely before. Please refer how to use an obiage. 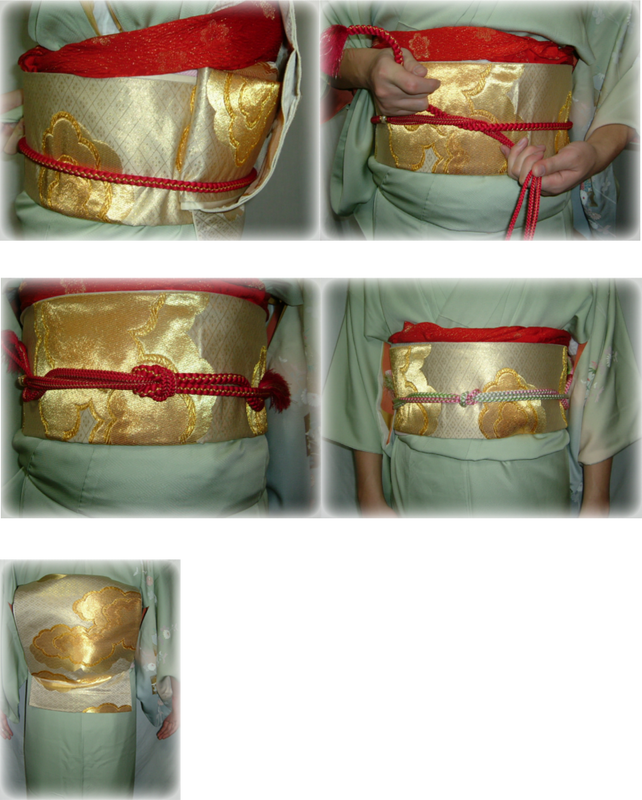 Next put an Obijime through the taiko part, and tie it on your front. Please refer how to use an obijime. In the last, fix all the parts neatly, and the process of taiko musubi is finished.